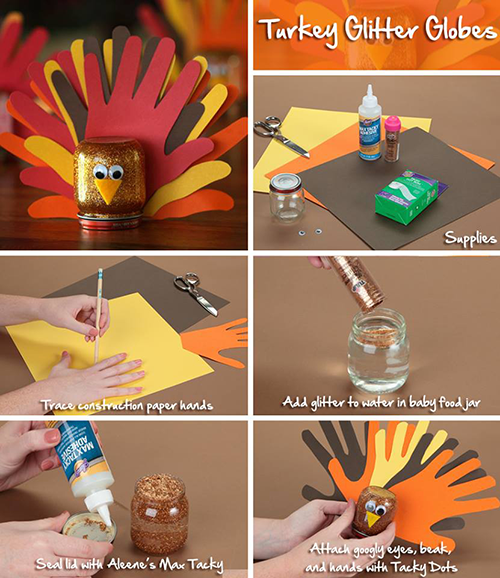 Every year at Thanksgiving while visiting family, in addition to family, food, and friends, there's always a little crafting with the kiddos! It's always so much fun to craft with my grandkids and do a little project together, so when I dreamed up these little glitter globes, I had them in mind. 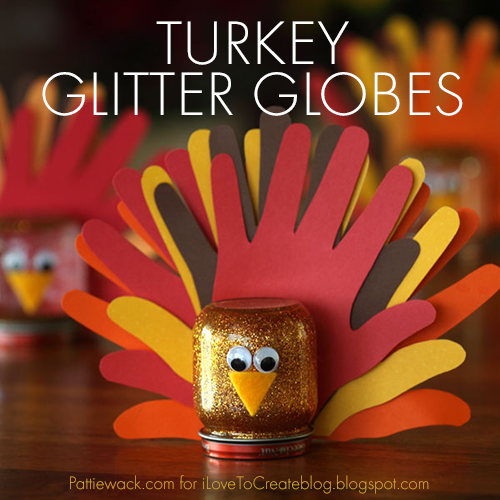 Making these cute little glitter globes is a great interactive project to make together days ahead of Thanksgiving or on Thanksgiving day at the kids table. Let me show you how I made them! 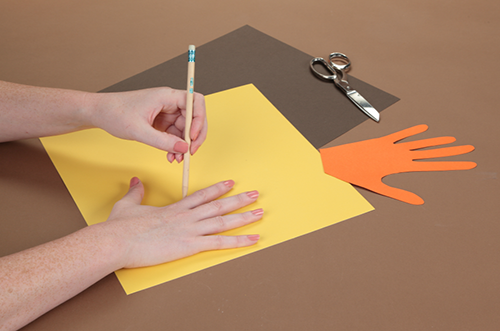 Outline your child's hand from a piece of scrapbook or construction paper using a pencil. Cut out. Repeat in alternating paper colors. 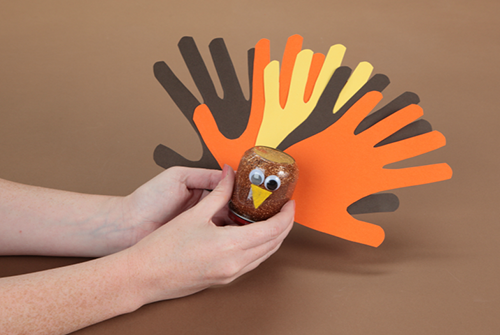 You'll need 3 to 5 paper hands per glitter globe. 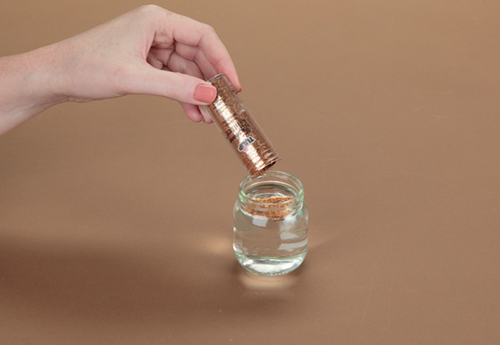 Open up jar and pour water inside! Now pour inside the Tulip Fashion Glitter. Line the rim with Max Tacky Glue and seal with lid. Let dry completely. 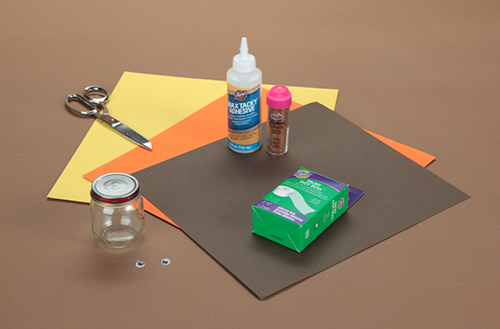 Snip a small triangle of yellow felt or paper and add Tacky dot to back. Press on jar. Add tacky dots to the back of the googly eyes and press on jar as well! 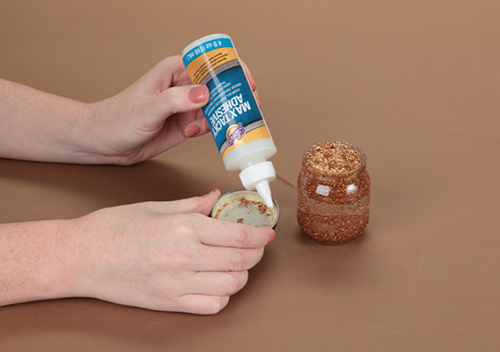 Add glue dots to the back of jar. Fan out paper hands and seal together with the dots. Press onto the back of jar. Here's a cute little pinnable graphic that you can share with your friends and family! I know you are going to want to make this project too!